Therefore, the discriminant of the following quadratic equation is 1. 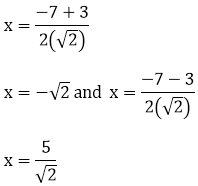 Find the discriminant of the quadratic equations. 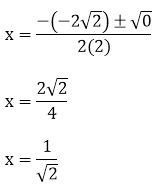 The discriminant of the following quadratic equation is = - 12. 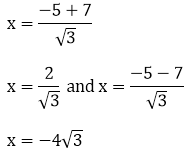 The discriminant of the following quadratic equation is = 1. 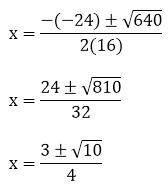 The discriminant, D of the following equation is 32. 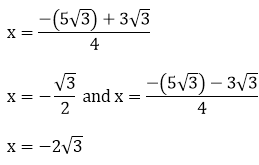 Therefore, the discriminant D of the following equation is -3. Here, a = 1, b = 1 and c = 2. 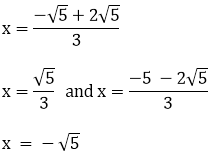 For a quadratic equation to have real roots, D ≥ 0. Here we find that the equation does not satisfy this condition, hence it does not have real roots. 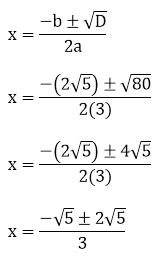 For a quadratic equation to have real roots, D ≥ 0. Here it can be seen that the equation satisfies this condition, hence it has real roots. Here, a = 3, b = -2 and c = 2. Here it can be seen that the equation does not satisfy this condition, hence it has no real roots. 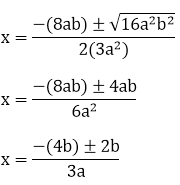 Here, a = 3, b = -5 and c = 2.